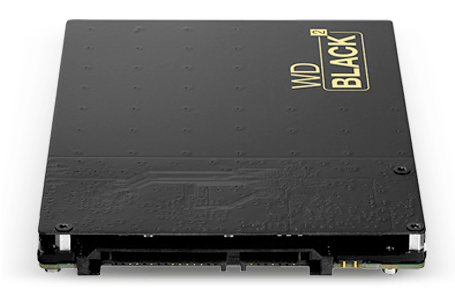 Western Digital today announced the release of the WD Black2™ dual drive, a unique storage innovation that fuses a 2.5-inch 120 GB solid state drive (SSD) with a 1 TB hard disk drive (HDD) to offer a powerful dual drive solution. Perfect for consumers and service providers looking to upgrade notebooks, small form factor desktops, and single-slot and all-in-one (AIO) systems with both SSD level performance and HDD capacity, the WD Black2 dual drive connects through a single cable and fits into a conventional 9.5 mm slot. Available now at select retailers such as PC Hub (Gilmore Branch), Thinking Tools (PC Quick Buy SM), PC Express (Beyond PC Megamall) and Blinque (Davao Branch), WD Black2 dual drives are distributed by Ubertech, Inc. in the Philippines; and are covered by a five-year limited warranty. MSRP for the 2.5-inch 120 GB SSD + 1 TB HDD WD Black2 dual drive, model #: WD1001X06XDTL, is PhP13,950. 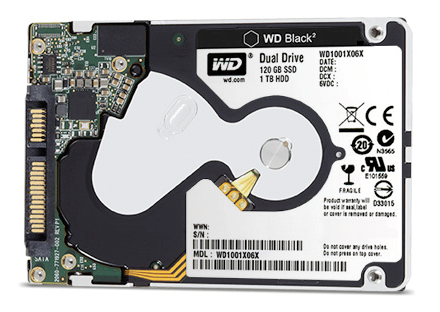 Additional information about WD Black2 dual drives and limited warranty terms may be found on the company website at http://products.wd.com/wdblack2.